With the growth in the proportion of the population §of older people more attention is being given to §their well-being. Occupational therapy has much to §offer older people and their well-being, ensuring §that they live well as they understand it. However §examination of occupational therapy and other health §related literature reveals that the meaning of well-§being is often not articulated, how people achieve §well-being is unclear and the perspective of the §older person with regard to well-being is missing. 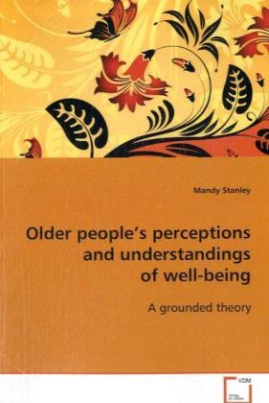 §This book reports on a study that uses §grounded theory to explore how older people perceive §and understand well-being. To experience well-being §older people have to perceive that they are in §control. The social process of trading off is used §to increase the perception of being in §control. Trading off is used to exchange §occupations that are no longer within their §capacity, for occupations that are, or for other §people to complete those tasks for the person to §perceive that they are in control. The major §contribution that this book makes is an explication §of the dynamic process that older people engage in §to achieve well-being.